From the beginning of January to the end of March, the sports car manufacturer delivered 51,102 new vehicles, which is 32 per cent more than in the prior year. Revenue in the first three months of 2015 increased 29 per cent to 5.08 billion euros, and operating profit surpassed the prior year figure by ten per cent and reached 765 million euros. The number of employees also grew 12 per cent to 22,945 employees. CEO Matthias Müller explained that the sports car manufacturer would stay on course for a successful business year in 2015. 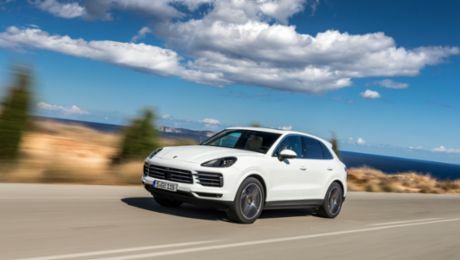 A key reason for this is the sales success of the new compact SUV Macan, which was introduced last year and will be available for a full twelve months for the first time in 2015. Other highlights are new versions of existing models. They include the GT vehicles – the 911 GT3 RS and Cayman GT4 – as well as the Boxster Spyder and the Panamera Exclusive. "Our successful vehicle derivatives strategy lets us satisfy the wishes of many customers who want to own a comprehensively personalised vehicle," said Müller. Lutz Meschke, Member of the Executive Board Finance and IT at Porsche AG, called attention to the company's continuously high profitability. "The first quarter result of 765 million euros reflects our healthy cost structure and the high profitability of Porsche", the CFO explained. In light of the present currency trends, he is also optimistic that with regard to the full fiscal year, we will reach last year's profit at a minimum. "We will continue to hold to our strategic returns target of 15 per cent," explained Meschke. 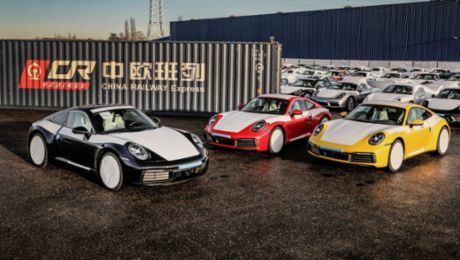 Key factors on the debit side are outlays for future model series and future technologies, as well as high investments in the extension and renovation of Porsche production sites. Research and development costs have nearly doubled at Porsche over the past three years, in particular due to expenses for alternative drives. In the current year, research and development costs will once again run at around 9 to 10 per cent of sales, said Meschke. This figure represents an extremely high rate in an industry comparison. Sales revenue, operating profit and deliveries reached top levels as did employee numbers.